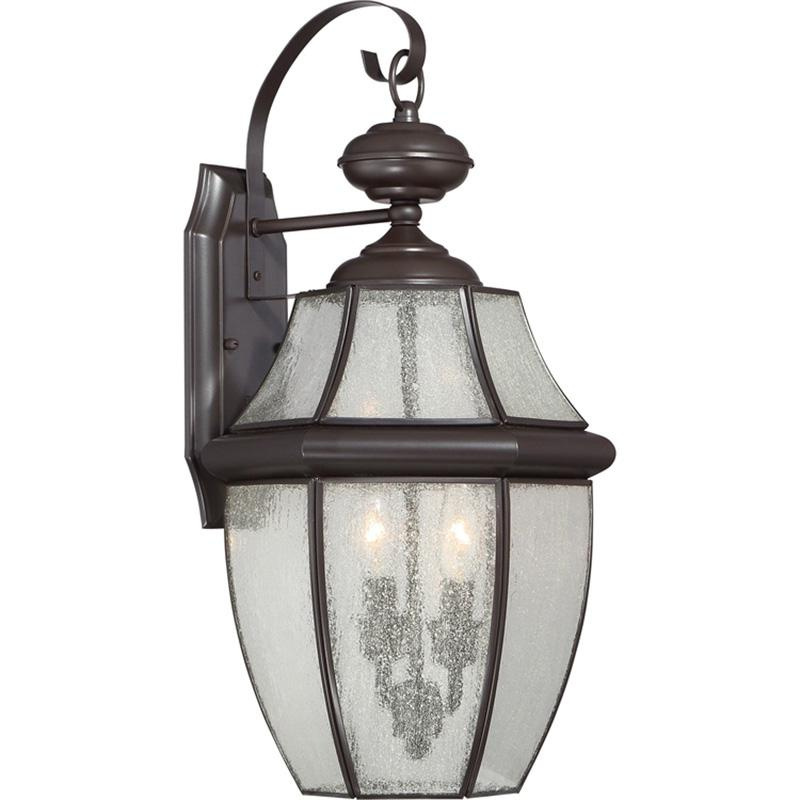 Quoizel Lighting Newbury Collection Outdoor lantern in bronze finish, features brass base construction. Lantern employs two 60-Watt B10 candelabra socket bulbs that have voltage rating of 120-Volt AC and power rating of 120-Watts. Lantern measures 11-Inch x 9.5-Inch x 20-Inch. Lantern is ETL listed.